I decided early on not to repeat artists/writers in this blog, but in this case I´m going to make an exception. Rogers was one of the great melody writers of the last century. Only his contemporary Gershwin was as prolific as him for knocking out a tune. In SOTW 20 I wrote about You´ll Never Walk Alone, a Rogers/Hammerstein number, but Hammerstein and Hart were as different as chalk and cheese. Unlike Hammerstein, Lorenz “Larry” Hart didn´t have much time for cheese. As songwriter pairs go, it was a dream partnership. 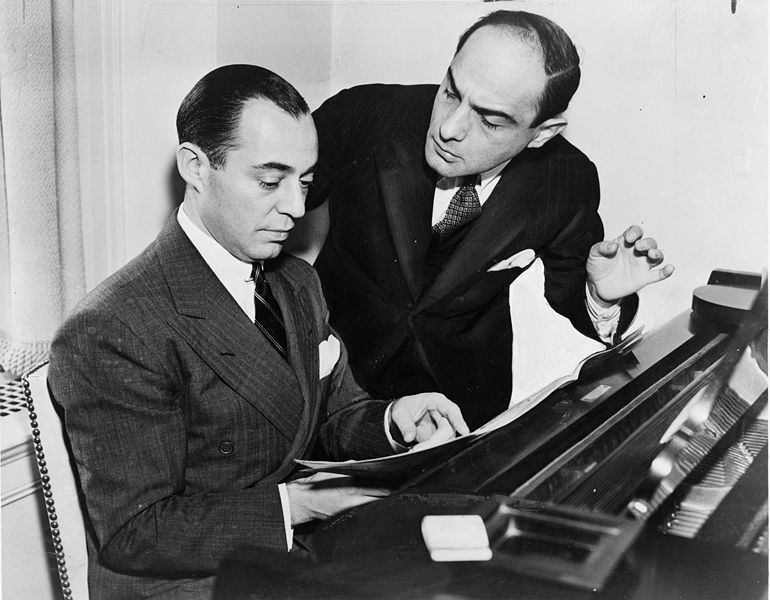 Richard Rogers is one of my favourite melody writers, and there were few lyric writers as sharp as Lorenz Hart. I could have just as easily written about Blue Moon, or one of my own personal favourites, Where or When, but if any song encapsulates Hart´s witty way with words, internal rhyming, love for turning cliché on its head, playful dark sense of humour, while emoting a sadness and warmth that can stop you dead in your tracks, and all that in the space of 14 short lines, it´s My Funny Valentine. And the song might just as well be autobiographical. Let´s just say it´s not your typical love song. Born 2 May, 1895, in Harlem, the oldest of two sons, to German Jewish immigrant parents. 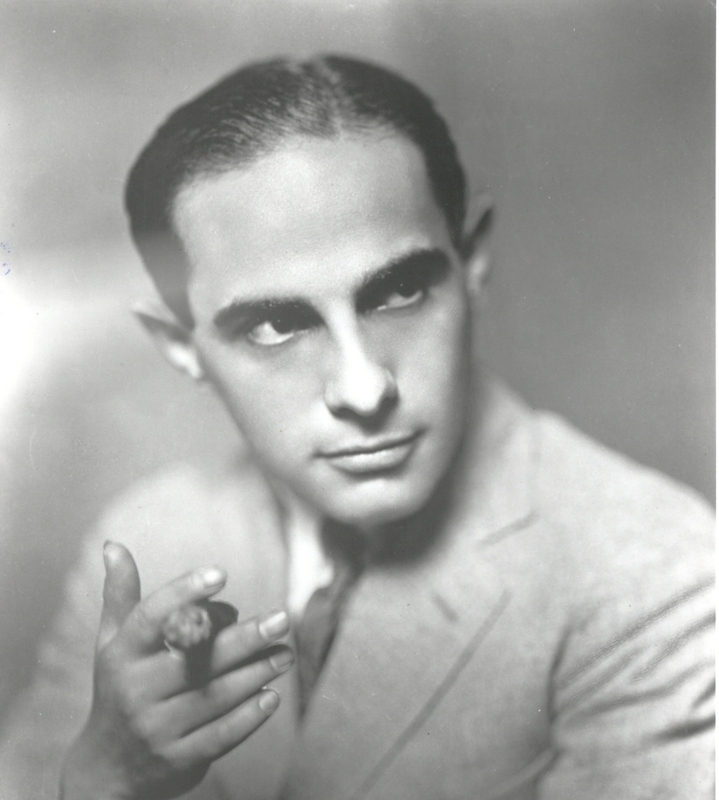 His brother, Teddy Hart, was a musical comedy star, and Teddy´s wife, Dorothy, wrote a biography about Lorenz. While in Columbia University School of Journalism, a mutual friend introduced him to Richard Rogers, and the pair got together to write several amateur and student productions. Here´s Richard Rogers talking about his first meeting with Hart in the songwriter´s Manhattan apartment. The pair became great friends. By 1918 Hart was working with the Schubert brothers, partners in theatre, translating German plays into English. In 1919, his and Rogers´ song Any Old Place with You was included in the Broadway musical comedy, A Lonely Romeo. In 1920, six of their songs were used in the Poor Little Ritz Girl. They were hired to write the score for The Garrick Gaieties in 1925, which brought them great acclaim. Over 20 years, the two of them wrote the music and lyrics for over 650 songs for 26 Broadway musicals. Their biggest hits were The Boys from Syracuse, Pal Joey, On Your Toes, and the musical this song comes from, Babes in Arms, which contains many of their best loved hits. The song was written before they´d even attempted the libretto for the show, and the pair were so keen to include it in the musical, that they named the protagonist Valentine. He calls his girlfriend “an opportunist”. She isn´t sure what it means and responds that he´s “a dope”, then goes on to sing My Funny Valentine to him. Although it was originally composed with a girl in mind, it seems to have been more successful coming from the mouths of male singers. 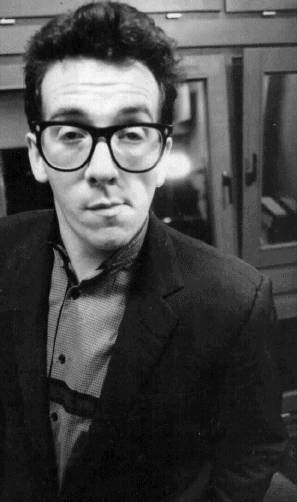 Here´s Elvis Costello who recorded his own version, with his take on it. Hart was known as “the expressive bard of the urban generation”. He was earning $60,000 a year during the Great Depression, and became even more of a party animal and a magnet for people. He was known for throwing lavish parties, but by1938, as he began too travel more often, he started suffering from his drinking. Needless to say, he wasn´t the easiest to work with, suffering from depression most of his life, and his erratic conduct caused friction between him and Rogers. He could disappear for two weeks at a time on alcoholic binges. Hart was a bachelor, and used to live with his widowed mother, so her death in April 1943 only made matters worse. Unhappy with his partner´s behaviour, and their personality differences, Rogers had already begun working with the more professional Hammerstein in 1943, and had a big hit with Oklahoma. Hart had turned down the chance to write for that show, saying it wasn´t his kind of story”. He went off to Mexico for a while and began drinking heavily. Their last collaboration was 1943´s A Connecticut Yankee, a revival of their 1927 Show. It featured a new song, and one of the last that Larry wrote, Can´t You Do A Friend a Favour? Writer Max Wilk, who knew Hart, believes he was writing about Richard Rogers. Hart stayed dry and didn´t drink until he´d finished all the lyrics, but then as soon as he was done he went out once again to drown his sorrows. Hart took off the opening night and went missing for two days. After a heavy drinking session, he was found ill lying on the street on a “cold, hideous night”, and taken to hospital, but died a few days later of pneumonia from exposure on the 22nd of November. He was 48 years old. NPR´s Elizabeth Blair reports here on the song for NPR´s 100 most important songs, and talks about the troubled relationship between the pair. The song might as well have been written for another tragic figure. 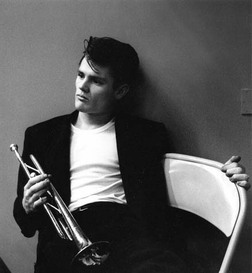 Renowned jazz trumpeter and singer, Chet Baker’s slow, smooth, sad style lends the song an extra level of gravitas. Described as “James Dean, Sinatra and Bix (Beiderbecke) rolled into one”. Baker was also a heroin addict. He came to fame and notoriety in the early 50´s, and spent his time in and out of prison. Having already played with Vido Musso and Stan Getz, he was selected by Charlie Parker in 1951 to play with him on a series of West Coast gigs. He joined Gerry Mulligan´s Quartet in 1952, and the group became an overnight phenomenon. What made the group special was the interplay between Mulligan´s baritone sax and Baker´s trumpet. Rather than playing identical melody lines in unison like jazz giants Parker and Dizzy Gillespie, the two would complement each other´s playing with contrapuntal touches, effortlessly anticipating which direction the other would go. They recorded this gorgeous version of the song in 1952 with the Gerry Mulligan Quartet, featuring a memorable plaintive Baker solo, which displays his natural sense of melody and phrasing. The group had found instant success, but lasted only a year, because of Mulligan´s imprisonment and arrest on drug charges. Frank Sinatra would release the song the following year. Here he is singing on his show in 1957 to a young Nancy Sinatra, his daughter. The song has since been recorded by a “who´s who?” of jazz greats, one of which I´ll come to later. Thomas Cunniffe analyses some of the essential recordings here. The song, however would go on to be intimately associated with the Baker. In 1956, Pacific Jazz released Chet Baker Sings, a record that increased his profile, but alienated traditional jazz fans. Baker would continue singing throughout his career, fronting various jazz combos. He made his acting debut in the film Hell´s Horizon, in 1955. He declined an offer of a studio contract that year, preferring life and the road as a touring musician. He became an icon of the West Coast “cool school” of jazz, due to his good looks and distinctive singing style. Here, without further ado, is Chet´s version. In the early 60´s Baker´s star would wane as his drug addiction took over. He pawned his instruments for money to maintain his habit, and was arrested and jailed for a year in Italy on drug charges, as well as being expelled from the UK and West Germany for drug-related offences, eventually being deported from the latter back to the U.S. In 1968, Baker was savagely beaten after a gig in San Francisco, sustaining severe cuts on his lips, and broken front teeth, ruining his embouchure. In the classic documentary Let´s Get Lost (see youtube link below), a film about his life, he claimed that an acquaintance had attempted to rob him the previous night, but backed off, only to return the next night with a group of several men who chased him down the street. He got into a car where he was surrounded, but instead of rescuing him, the passengers pushed him back onto the street, where the chase continued. His teeth, which weren´t in the best condition anyway, were knocked out, leaving him without the ability to play his horn. That´s his version of the story, but watch the documentary for another take on it. His ex-girlfriend, singer Ruth Young, suggests that Chet´s story can´t be taken on face value, because of his need to elicit sympathy from others. While he recovered, hetook odd jobs, like pumping gas, until he could get fitted with dentures, and work on his embouchure again. He would return to the trumpet in the mid 70´s after a three year hiatus from playing. He enjoyed a career resurgence in the late 70´s to early 80`s playing again with Stan Getz as well as guitarist Jim Hall. The 80s would be his most prolific decade for recording output. Critics cite that time as his most mature and rewarding, but those recordings for small labels rarely reached a wider audience. In 1983, Elvis Costello hired him to play a trumpet solo on his song Shipbuilding, and the song became a top 40 hit, which exposed Baker´s music to a new audience. Baker would go on to sing Almost Blue (a Costello song inspired by Baker´s version of The Thrill is Gone) in his live sets, and also recorded the song on Let´s Get Lost. 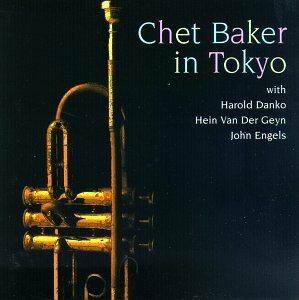 In the video for Chet Baker in Tokyo (1987) he looked much older than his age, but his trumpet playing was inspired, sharp and energetic. He died in 1988 aged just 58. Rogers’ melody reflects the melancholy feel of the lyric, and lends itself to improvisation. As well as becoming a jazz standard in the hands of singers, it was also a favourite of the great jazz soloists. After the Mulligan/Baker version, Chet´s friend Miles Davis tackled the tune first with his Quintet (featuring John Coltrane on tenor sax) on Cookin´ recorded in 1956, the first song on the first of four themed records he recorded: Cookin´, Relaxin´, Steamin´, and Workin´. The recording was made at the end of a marathon session that aimed to complete the contract with four albums for Prestige Records. The sessions for the four records were part of their live repertoire, and every single issued recording on those four records was a first take. Despite the casual approach, the records were considered one masterpiece after another. Miles would go on to transform My Funny Valentine in later performances, but the original Prestige recording is still considered one of the great jazz classics. Paraphrasing Cunniffe, Red Garland´s piano takes the spotlight as Paul Chamber´s bass dances along obbligato, offsetting Miles´s melancholy invoking of the unheard lyrics, as it drifts away from the melody, as Philly Joe Jones lifts the whole thing subtly moving to double-time. Davis is known for his use of space, and it´s often more about what he leaves out than what he plays on his recordings. He lets the silence breathe. Well on this occasion, he left out the great John Coltrane who might have otherwise provided a contrast to the leading trumpet line. It´s the only track on the first session where Coltrane sits out. So, back to a quartet then. I´ve posted enough videos now, but the original musical version contained an intro sung in old English, as the character teases Valentine before she sings to him, so you may wish to hear that. You can have a listen to everybody´s darling Linda Ronstadt singing it, with Frank´s bandleader Nelson Riddle´s sumptuous orchestral arrangement. This one would have been apt to do back on February the 14th, but just like Larry, I´m a little late! Classic and very informative Padraig. Thanks. I discovered your music from the blog Romancing the Bee. Deborah posted your video along with one of mine on her post “Amazing Music!” yesterday. I loved your video and song “Porcelain Doll” and I look forward to hearing more. Now . . . I’ll go back and read today’s post. I love all things Rogers & Hart! Thank you very much for that. I´m trying to do a couple more videos for youtube with songs of mine. And thank you Deborah too! Thanks for sharing and thanks for following my blog. I love the Gerry Mulligan version of My Funny Valentine. Transports me back so many years. It truly is a classic. No problem Judith, thanks very much for taking the time to comment. Yes, it’s a true classic alright. I love it. Love this tune and was happy to see someone really take the time to understand the history it has had and the players that have made their mark on what this song is today. I love the intro and am often saddened that it is not a standard part of the playing this tune. Great blog! They often cut off the intros in standards. Yep, I love it too. Thanks for reading!